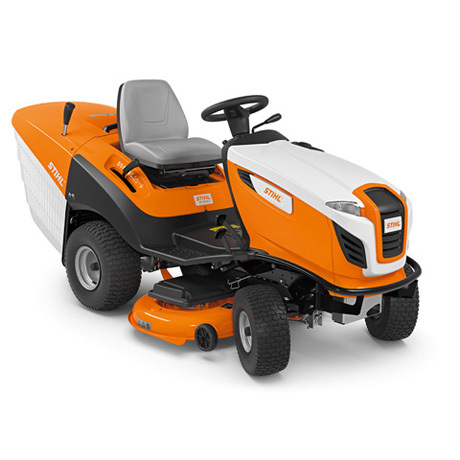 With the STIHL RT 5112 Z, a precise cutting pattern and high level of driving comfort are guaranteed. 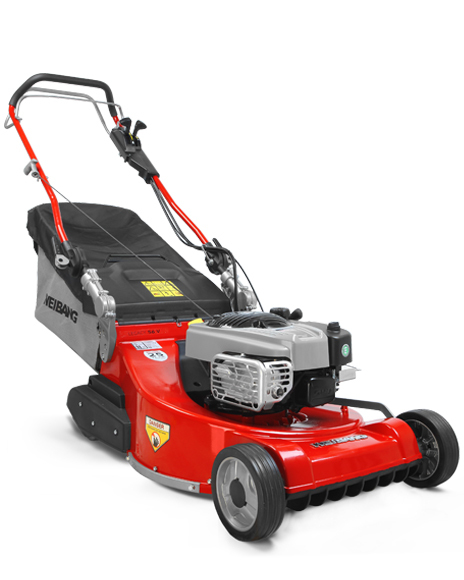 Lawn mowing is time-saving and effortless. 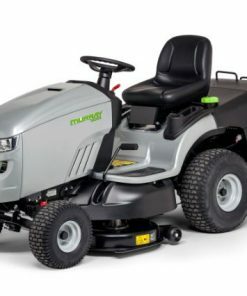 Thanks to its cutting width of 110 cm, you can work efficiently with this ride-on mower and while benefiting from the integrated synchronous mowing deck. 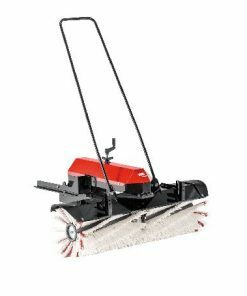 Synchronisation of its blades ensures a consistently high cutting quality and optimal transport of the grass to the extra-large 350-litre grass catcher box. 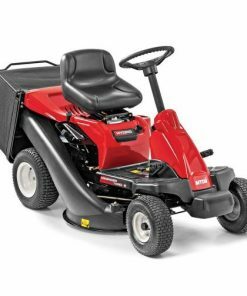 The grass catcher box of the lawn tractor can be conveniently emptied from the driver’s seat. 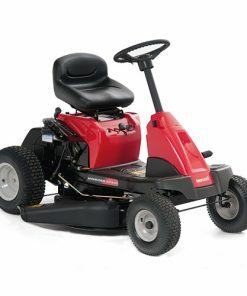 The driver’s seat can be adjusted without tools so that you can work in an ergonomically favourable manner. 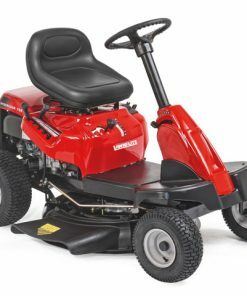 From here, you can effortlessly change directions via the single-pedal self propulsion in order to manoeuvre more easily and faster in narrow passages. 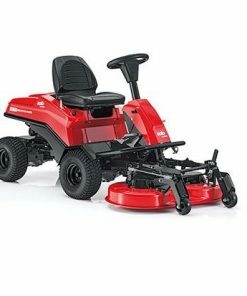 You can also achieve particularly convincing results in a short time thanks to the simple cutting height adjustment and the electromagnetic blade clutch for activating and deactivating the mowing deck. With the aid of the catching management system, the grass can be optimally gathered across the entire cutting width and guided towards the blades for cutting. 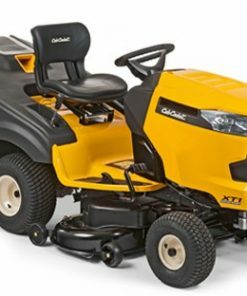 Thanks to the high-contrast LCD display, you have all the important ride-on mower functions under control, including operating hours, battery voltage, grass catcher box readiness, grass catcher box filling level and emptying time, fuel tank filling level, oil pressure monitoring, mowing deck activation. 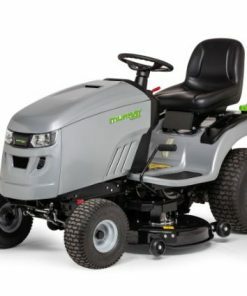 The synchronous mowing deck provides for consistent cutting quality and optimum grass transport to the ejection chute. This is made possible by the synchronised rotation of the blades, which are offset by 90°.